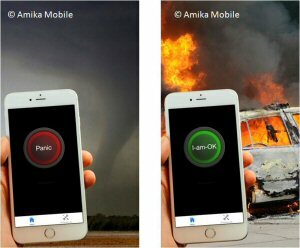 Amika Mobile announces its Amika® Panic and Amika® I-am-OK mobile personal safety apps are available on iTunes™ as of today. The four apps, 2 for enterprise and 2 for personal use, allow mobile users to issue a panic alert from almost anywhere, sending their location and status in a major disaster or emergency situation, or just indicating when they arrive safely at their destination. 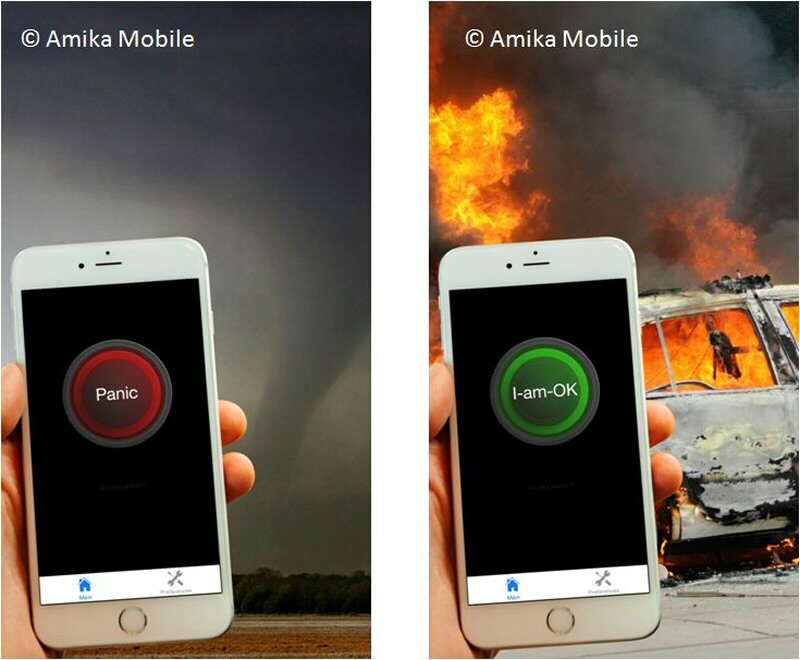 Amika® Panic enterprise is a mobile panic app for smartphones addressing personal emergency communications, either with an organization's security team, between family and friends, and/or in mixed personal and BYOD (Bring Your Own Device) work environments. According to Gartner analysts, 50% of enterprises will be supporting BYOD by 2017. Amika® Panic Enterprise and Amika® I-am-OK Enterprise work in conjunction with the Amika® Mobility Server (AMS) which provides complete critical and emergency communications and control enabling situational awareness, information sharing, rapid alert/response across all devices and networks, and control through advanced integration with physical security to issue or trigger lockdowns on demand. Security teams can set up profiles for staff, identifying who is alerted on panic initiation based on each sender's organizational role and location. For personal app users, Amika® Panic Personal provides an easy and quick way to alert friends and loved-ones help is needed. Amika® I-am-OK Personal alerts them that you are in no danger. With a click of a button your message and location are sent immediately to your select contacts. "The release of Amika® Panic and Amika® I-am-OK on the iPhone™ and earlier for Android™ are key milestones for Amika Mobile. In a world where travelers are kidnapped, female students are attacked on campus, or people just want peace of mind, these applications make a lot of sense as they not only deliver the panic or I-am-Ok indication, they also provide the location to the security teams and loved ones," said Amika Mobile CEO Dr. Sue Abu-Hakima. The public safety and security market is growing from $305B in 2011 to $546B in 2022 according to Homeland Security Research Corp. in Washington, DC. Amika® Panic in conjunction with AMS fits into this market which includes communication systems and devices and mass notification. Amika® Panic and Amika® I-am-OK can be downloaded off iTunes™. They can also be purchased with AMS by contacting Amika Mobile or one of its many Partners listed at www.amikamobile.com Amika® Panic and Amika® I-am-OK for Android were highly reviewed as ASIS Accolades products with Amika® Situation Commander for an ASIS People's Choice Award at ASIS 2014. Demonstrations of AMS, event alert/response, Amika® Situation Commander critical and emergency capabilities and Amika®Panic and Amika® I-am-OK mobile apps will be showcased at the Security Industry Association's tradeshow, ISC West 2015 from April 15-17 in Las Vegas, NV at booth #18019 Partner Command Center and at ASIS 2015 in Anaheim, CA.